Melt butter over moderate heat. Slowly cook onions in butter, once soft, add peas, baking soda salt and pepper, cover with stock and cook till done. Remove from heat. Add tarragon, cayenne and cream and blend until smooth. Pass through chinois. 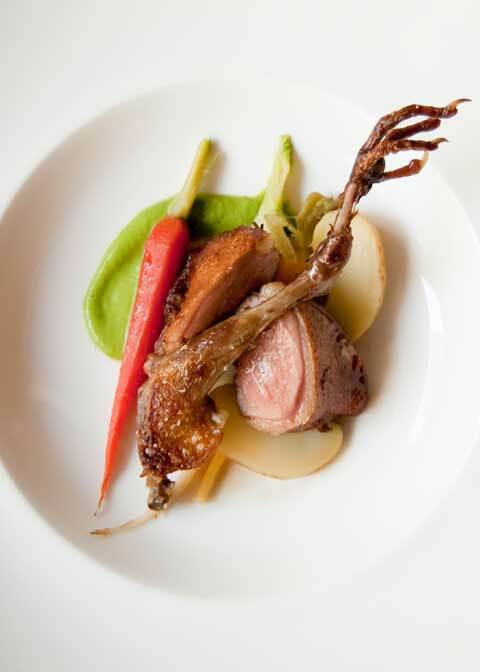 Spread the pea puree on the plate and top with squab. Scatter potatoes and carrots around squab.